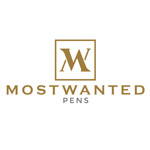 The Mostwanted Pens Gift Sets are exclusive compilations of products that not only work well together, but also look good together. The Mostwanted Pen's "Pen of Steel" set consists of the RAW Kaweco tin box and a Kaweco STEEL sport fountain pen. Variant 1 comes with the matching STEEL ballpoint pen. In variant 2 with the STEEL mechanical pencil.